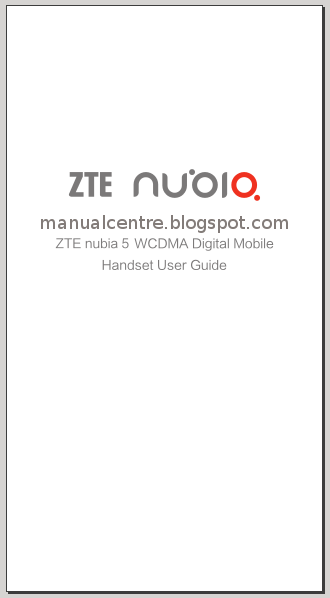 The ZTE Nubia 5 manual or user guide is available now. The manual available in english language and you can download in PDF format. Many pros of ZTE Nubia 5 smartphone for example it has Very big display, High-resolution camera, Quad core processor, Lots of RAM, Fast mobile data support (4G) and NFC support. The ZTE Nubia 5 comes witn main specs and features such as runs on Android 4.1 (Jelly Bean) operating system. powered by 1.5 GHz Quad-Core APQ8064 processor, available 2048 MB of RAM, equipped with 13 megapixels camera, it has 5.0 inches display screen and powered by Qualcomm Snapdragon S4 Pro APQ8064 chipset. The smartphone work on under CDMA, GSM and UMTS network. 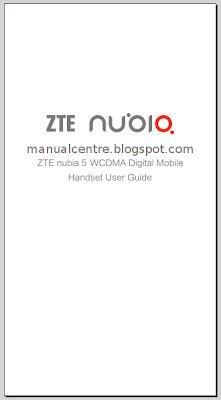 The ZTE Nubia 5 User Manual consist of 21 pages with file size of 207KB. It's devided into 6 section with appendix. In the manual provides detail reference information such as phone layout with menu and key functions, tutorial Inserting and removing the SIM card, Charging the battery, learn phone basic operations, using home screen, Change wallpaper, Lock and unlock the screen, USB mass storage, Care and maintenance.